WASHINGTON — Blue Origin founder Jeff Bezos disclosed new details about his company’s New Glenn launch vehicle March 7 and announced it had signed up its first customer, commercial satellite operator Eutelsat. Bezos, appearing in an on-stage interview at the Satellite 2017 conference here, said the rocket, set to start launches in 2020, will have a payload performance that will make it it one of the largest vehicles in service. “New Glenn has quite a bit of capability,” he said, discussing a two-stage variant of the vehicle. The vehicle, as currently designed, will be able to place up to 13 metric tons into geostationary transfer orbit and 45 metric tons into low Earth orbit. 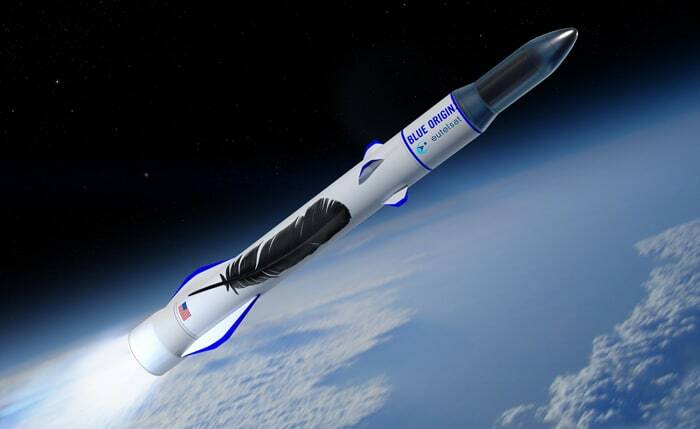 The payload performance and other details were the first information Blue Origin released about the orbital vehicle since announcing plans to develop it in September. The company is currently building a factory outside the gates of the Kennedy Space Center in Florida, where the rocket will be assembled for launch from Pad 36 at Cape Canaveral Air Force Station. Bezos used the event to also announce the first customer who signed up for a New Glenn launch. Eutelsat has agreed to fly an unnamed satellite on the vehicle in 2021 or 2022. The vehicle, Eutelsat said in a statement, can accommodate “virtually all” of Eutelsat’s projected satellites, allowing the company to assign a specific satellite to the launch just 12 months in advance. 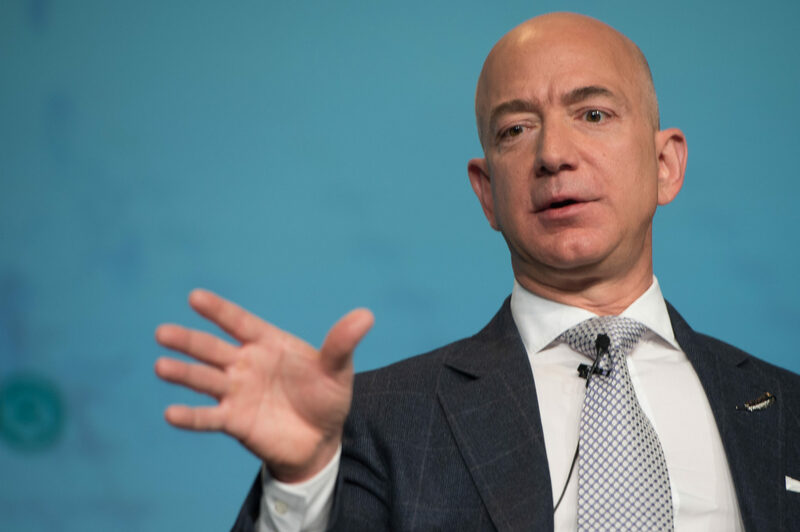 Eutelsat Chief Executive Rodolphe Belmer, who appeared on stage with Bezos, noted that Eutelsat has a history of flying payloads on the first launches of new vehicles, and praised the entry of a new launch provider. “Having a very significant player with large ambition, with capacity to innovate, and with a proven track record of innovation, is extremely good news for industry,” he said of Blue Origin. Bezos, in the presentation, emphasized the importance of reusability. He said New Glenn will build upon the lessons learned from the company’s New Shepard suborbital vehicle, which flew five flights with a minimum of refurbishment between those launches. The first stage of New Glenn is designed to be reusable, landing on a ship in the ocean. The stage is equipped with six legs for the landing, allowing it to land safely even if one leg fails to deploy. A key design feature of the stage is the use of aerodynamic fins, or strakes, that enable to stage to maneuver for a landing more efficiently than using engines alone. That emphasis on reusability includes the BE-4 engines that power the rocket’s first stage. The engines are designed for a 100-flight lifetime, he said. The day before the presentation, Bezos tweeted photos of the first BE-4 engine, which he said had just completed assembly and is being prepared for static-fire tests at the company’s West Texas site. That engine is also slated for use on United Launch Alliance’s Vulcan rocket.